Nothing can be more detrimental to your day than a low battery! 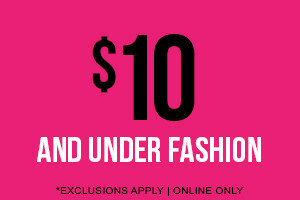 Keep your device juiced up with USB charging cords for women in super cute colors. Get your bright and shine on with metallic and shimmery options because your women's USB charging cords don't have to be basic. 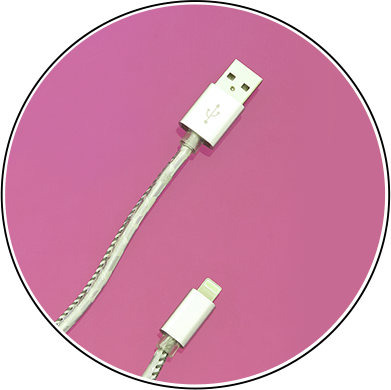 You know Icing doesn't do basic, so treat yourself and your device right with our plethora of phone chargers for women. Taste the rainbow with phone cables for women in candy colored options. Hook up your new phone with a new cable right now, and get your battery going for all your adventures! Make a statement in trend-forward earbuds for women and women's headphones. 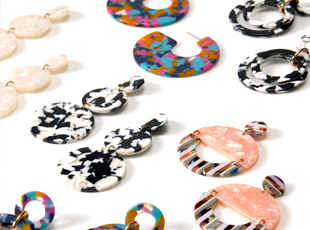 Find fresh metallics, cat ears, or lovely pearls to adorn your ears. 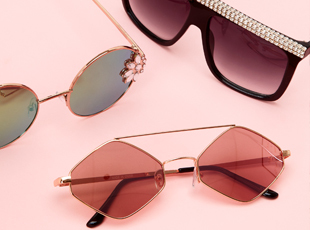 Blast those beats in hot fashion, or block out the world with cute earbuds for women in rose gold, holographics, and more. 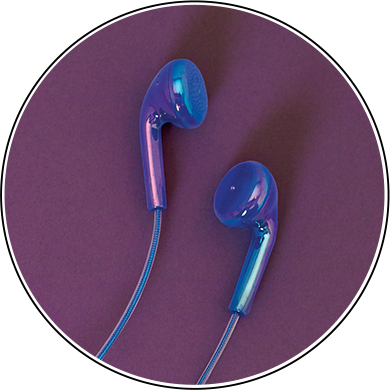 If you're the type to use your earbuds for a phone convo, we've got adorable options with an added microphone to keep chatting with your bestie on the line. Find fun holders to wrap your cords and keep them tucked away until you need them again later. Get your fave patterns and colors in your next pair of earbuds or headphones to give your device a little tech upgrade. The queen of everything deserves the best women's iPhone® plus cases! Accessorize your piece with a cosmic touch with your star sign or initial, or just give off those starry cosmic vibes for a cute look. Our iPhone® plus cases for women also come in cozy and furry options to let your animal instincts run wild. Get a little pom tail, cat ears, or a pugicorn because what could be cuter than a pugicorn? Grab your iPhone® plus cases from Icing to complete your accessorized look! 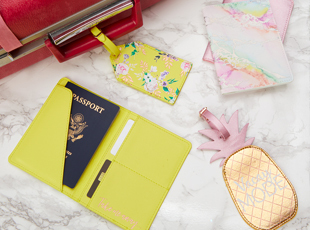 Cute laptop cases show off some personality and extend beyond just your phone. Get the look for the right fashion tech gear for your treasured laptop. Increase your productivity with dazzling sequins or spacey cake glitter in some of our best laptop cases for women. 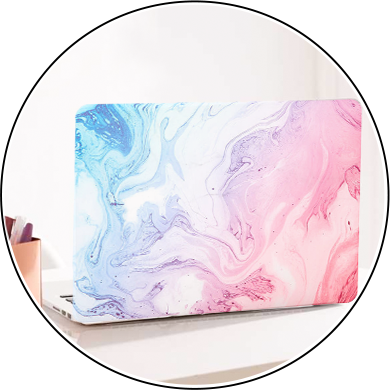 Protect your laptop with hardcovers and matching cool laptop cases to nail your favorite Instagram-worthy work space looks. 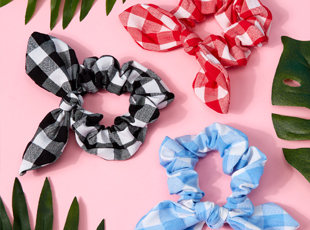 You'll have everyone eyeing your laptop at the library or at the coffee shop, but we know you don't mind, you like accessorizing head to toe so why would your devices be any different? Choose your next laptop case for women and show off your tech style. Let's be honest, your phone is an extension of you. It's as important as your wallet and glasses to read or drive! There essentially is no reason to not treat this expensive gadget as a necessary accessory. 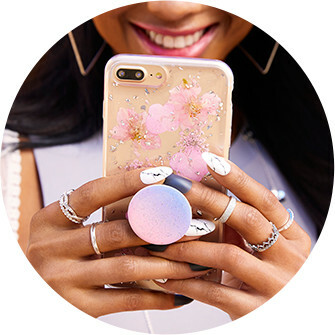 This is how we take care of and adorn our new toys with not-so-basic phone cases! You're just not the type of girl to get any kind of case, you need to get something that's hot, fun, and every ounce of you! 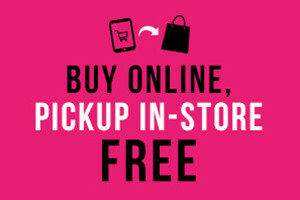 Whatever your mood, style or outfit, make your phone your ultimate accessory never goes without representing you. Looking for a specific size? We carry iPhone cases ranging from the 5/5s cases all the way through the latest iPhone X. You can find Samsung galaxy phone cases ranging from the S5 to the S8. Here you can find the ultimate bad girl vibes in phone cases for you or your bestie. Yes, we have best friend phone cases too! Pair it up with your ride or die with matching cases or patterns that only your other half can complete. Accessorize your tech with earbuds and headphones in rose gold, metallics, and gems compatible for any phone with a headphone jack. Browse our ring stands for your phone can help with catching up on the latest binge without issue, and can be a pretty addition to your cute phone case. Style it up with cute phone charger cords in a variety of colors and patterns cause we don't do basic around here. 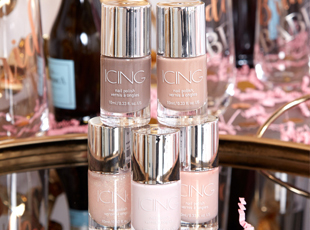 Its color, its glam its sparkles. Not sorry. 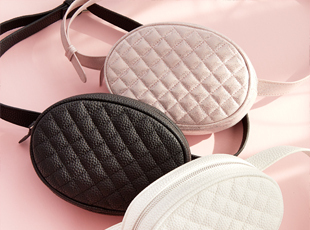 Statement stone cases are your gateway to chic and glam with no low key factors. Stone, marble and other pretty textures are available to show off your earthy glam side. You'll find that many will be adorned in some sparkle and other additions that still give you the style and the protection that's necessary for your phone. Be your earthly goddess self with these gorgeous pieces! Get a grip on your phone! 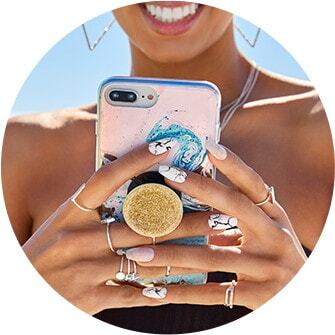 PopSockets are a helpful addition to your tech accessories in more ways than one! Use it as a stand or a phone holder to make scrolling through your instagram feed a breeze. You can double up PopSockets to wrap your cute earbud cords when you need to neatly put them away. Avoid mishaps and manage your phone to adjust your grip better! We care about your devices so much that we've developed special protective cases for your devices! We don't do boring, nor should you. 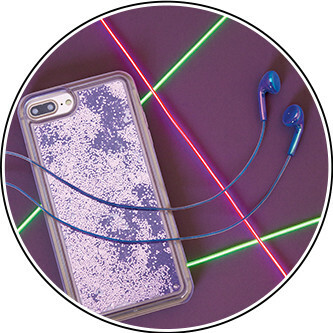 We've got you covered in some sweet prints and holograms to protect your phones and keep them looking good. Your screen is probably the most vulnerable part of your phone and the one that gets damaged most often when you're just not careful enough! We know it happens, but let's try and decrease those chances by using a screen protector! These tough sheets are made of tempered glass and are anti-fingerprint, anti-scratch, shatter resistant, bubble free and its delicate touch features make this screen protector the ultimate defense against screen damage. We said we don't do basic right? Icing doesn't stop at just your phones, we carry an array of cute tablet cases and laptop cases to protect your higher end tech gear. For a colorful update to other devices, be sure to look at our iPad cases or extra protection for your iPod touch. 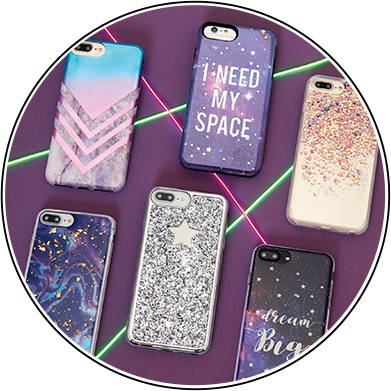 View everything available in tech for all of your colorful and sparkly needs with a touch of you to protect your phones and devices.